OCAmaster is a well known manufacturer that has specialization in all kinds of development and production of various LCD refurbishing machines. From OCAmaster you will not only get all the newest LCD refurbishing machines, it also comes with our top-notch customer service and support. Our machines can include vacuum pump LCD separator, OCA glue film Laminating, air-bubble removal, polarizier removal, frame separating machine for Samsung and frame laminating machine for iPhone, etc. As far as the popularity of our machines is concerned, our machines are very popular in entire Europe, South America, and North America. Also, we can proudly say that a lot of larger facility such as refurbishing service centers, they also equiped with our top of the line machines for their works. Other than these service centers, many mobile phone repairing shops also use our machine for their day to day operation. They all use it because our machines offer very high efficiency and easier to operate. Ocamaster provides full training with videos online and in-house factory visit. Another unique regard OCAmaster is that, we collaborated with many of electronic training schools that teach how to repair TV, Computers, Smartphone’s and similar other electronic equipment. With this collaboration between unique university and OCAmaster, we can see huge amount of students started their own repair shops for LCD refurbishing work by equiping with our machines. 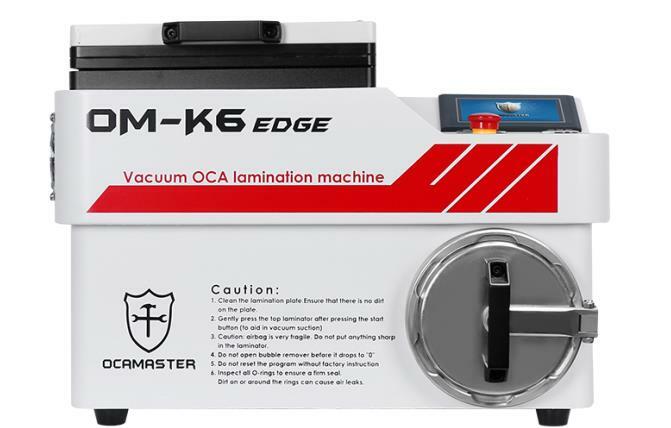 In case you are already doing the refurbishing of LCD touch screen in a manual manner, then the new OCA vacuum laminating machine can be a great tool for you and your business. And if you do not have any experience or knowledge about this work, but you want to start this business, then also you don’t have to worry about that. We have a team of experts that can provide technical assistance or support to you.